Government ministers and MKs are openly pressuring Netanyahu to legalize Havat Gilad after last week's brutal murder of Raziel Shevach. A growing list of government ministers and MKs are openly pressuring Prime Minister Netanyahu to legalize the Havat Gilad community after resident Rabbi Raziel Shevah was gunned down in a gruesome terror attack last week. Havat Gilad was established in 2002 in memory of Gilad Zar, security coordinator of the Shomron Regional Council, who was killed in a terror attack. Dozens of families live on the farm, but none of the homes have permits. Many of the buildings at the outpost have been demolished by the army only to be rebuilt. Rabbi Shevach's widow Yael has been demanding to every government official that arrived to comfort her: Legalize Havat Gilad, and quickly. "I'll talk with the prime minister about the things that must be done in order to legalize Havat Gilad - in terms of planning, especially on things such as electricity and water," promised Tourism Minister Yariv Levin (Likud). "I have no doubt that Havat Gilad will continue to grow." Culture and Sport Minister Miri Regev (Likud) concurred, calling on the government to legalize the community as a response to the brutal murder. "It breaks my heart to see a brave young widow who decided to bury her husband in Havat Gilad...we have to legalize it," said Regev. "The government must legalize Havat Gilad and made it a place where everyone will flourish," said Deputy Foreign Minister Tzipi Hotovely (Likud). "This is a young community whose homes should be filled with children and life." 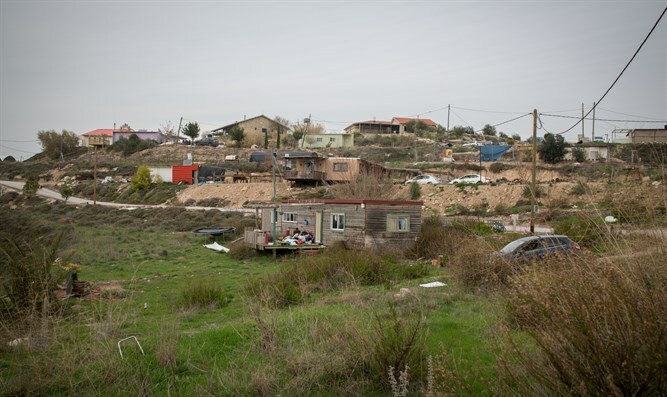 On Thursday, Prime Minister Binyamin Netanyahu ordered the Defense Ministry to connect the Havat Gilad community in Samaria to Israel’s national electricity grid immediately. The move was dismissed by Yaev Shevach, who deemed it insufficient after the murder of her husband. "It's a joke that you're trying to give us electricity when there is an entire village that needs to be legalized," she said. "I want to know that in 10 years' time they will not move my husband's grave because we waited too long [to legalize it]".